“ One of my goals is to lead a company whose sole interest is our clienteles’ best interest, producing a landscape statement that surpasses anything they have experienced, “ states Chris Runge, the founder and Senior Consultant of Landscape Concepts. “ We are the new definition of landscape management, taking what was the norm and reshaping it into what is the industry standard. “We think outside the box by simply returning to the basics”, Runge continues. Born in 1960 in New York City, Runge lived there until the age of 6, when his family relocated to his current home of Vero Beach, Florida. The time growing up in Florida as a young man created his love of floriculture. This started while working a summer job with a certified arborist/horticulturist as a labor assistant. From there that lead him to meet Dr. David Fairburn, the Director and Orchidologist for McKee Jungle Gardens. It was during one afternoon in the Doctors’ orchid house that Runge came to understand the simple truth of plant culture. “Dr. Fairburn explained that once placed into the proper environment, a plants’ culture returns to its creational basics, it is simply our job to tend to them”, states Runge as he recalls that afternoon. 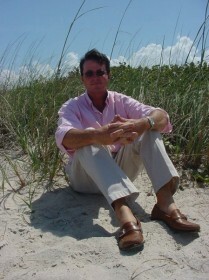 His career started at age 18 working for a Vero Beach barrier island club community for the next 28 years. What began as their sole landscape maintenance staff, turned into the title of Operations Manager responsible for all the common property. “Today Landscape Concepts is a reality, one that I stand proud of. As part of our business plan we want to reach out to the community that poured into and shaped me as a child. It is our goal to donate Landscape Concepts services to the civic organizations that encourage and develop the culture and youth of our county,” Runge says this with great pride and passion. 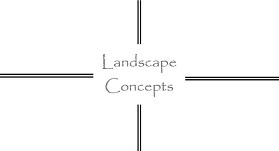 We are sure that both Chris Runge and Landscape Concepts will succeed at their combined goals.